The two words alone are enough to bring a smile to your face and a spring to your step. 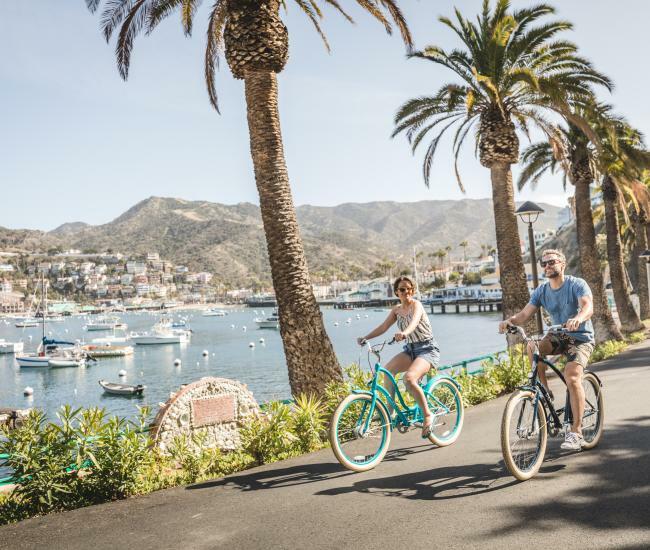 Since the turn of the last century, a summer vacation on Catalina Island has been a time and a place for families to relax, couples to reconnect and the stresses of every day to melt away. 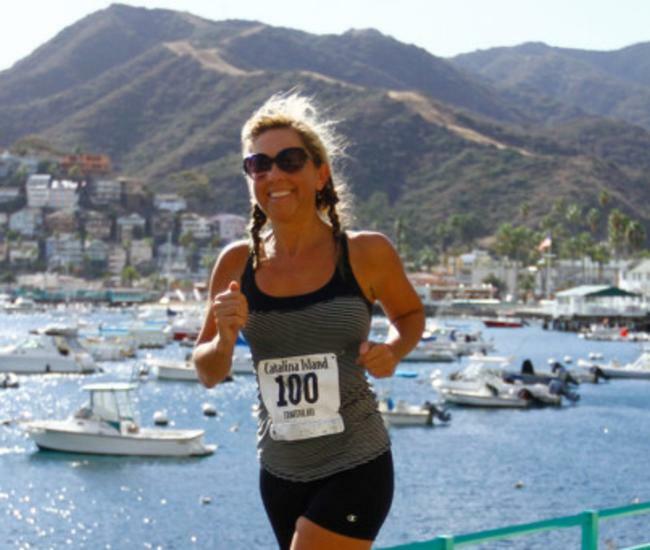 Sun-kissed beaches, quaint streets, charming shops and fun activities contrast perfectly with Catalina’s rugged interior, windswept promontories and dramatic vistas, creating a summer vacation destination that offers something for everyone. With its moderate temperatures and crystal clear visibility, it’s no wonder that in summer, many vacationers are called to the sea. 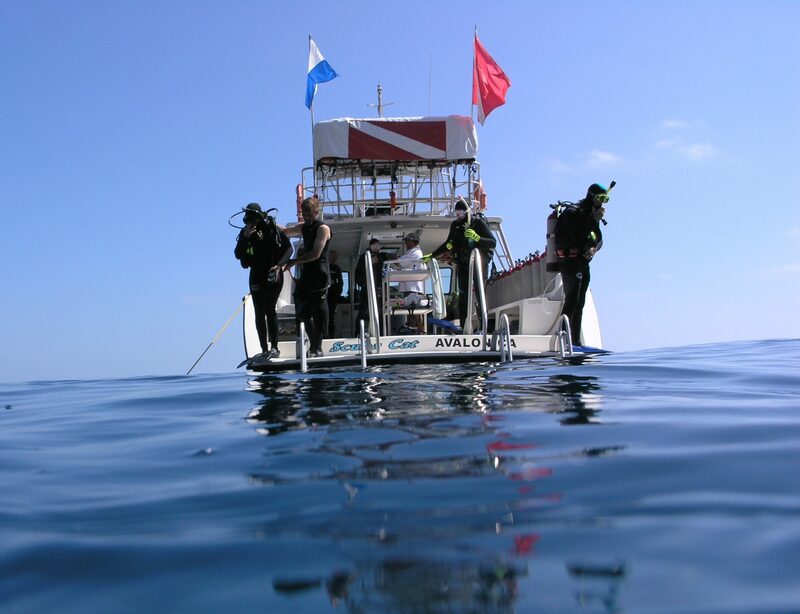 As home to the Casino Point Dive Park, the first-ever municipal park dedicated to scuba diving, Catalina has a long history of thrilling scuba divers and snorkelers with experiences found nowhere else on earth. Today, Catalina Island hosts nine Marine Protected Areas, regions of special ecological significance that are protected by the State of California. While the marine life in those areas are protected, they are open for recreation, including scuba and snorkeling. Looking to plunge even deeper? 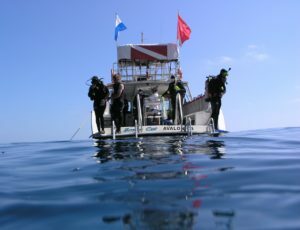 Catalina Island is consistently rated as one of the top scuba diving destinations in North America and divers of all levels rave about its diverse marine life, fascinating kelp forests and unique ecosystems. 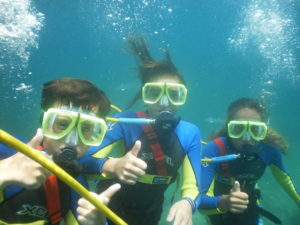 Snorkeling on Catalina Island is a great option to introduce explorers to the underwater world. Several shops are available to rent gear, provide advice or arrange a guided snorkel tour of the top spots – including Lovers Cove, just past the boat terminal in Avalon. Snuba is another beneath-the-surface experience that combines scuba and snorkeling to create an activity the entire family will enjoy. Explorers can venture to about 30 feet below the surface to get up close and personal with a variety of marine life. 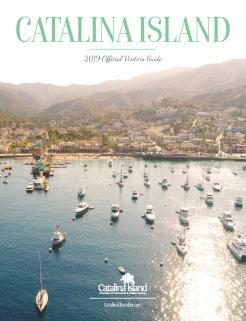 Top-side water-based activities on Catalina Island are also popular in the summer months. Paddleboards and pedal boats are popular options for exploring in Avalon Harbor. Kayaks are a great way to experience the island’s many beaches and bays or rent a motorboat to find your perfect Catalina cove. Each year, more than 10,000 children create lifelong memories at Catalina Island’s many summer camps. For generations, kids have been learning self-reliance, developing character and building self-esteem while they kayak, swim, sail, hike, snorkel and explore. Nestled in the picturesque, protected coves on the island’s leeward side, the camps on Catalina offer a variety of experiences and programs, including marine science, environmental stewardship, scouting and the YMCA. Durations at Catalina summer camps range from a few days to several weeks – making the island a perfect camp destination for kids age 8 to 18. Campus by the Sea, focused on Christian fellowship and learning, is located at Gallagher Cove, just West of Avalon. Catalina Island Marine Institute, one of the top marine science camps in the country, operates its popular Catalina Sea Camp each summer at Toyon Bay. White’s Landing hosts The Catalina Experience, which offers summer camps for kids as well as corporate retreats for adults. Camp Fox is home to several regional YMCA camp programs each summer. Camp Emerald Bay offers about 4,500 Boy Scouts a variety of camp experiences. Howlands Landing is home to Catalina Island Camps, which has been offering summer camp on Catalina since 1922. While the kids are off sailing the high seas, tackling the ropes course and singing silly songs around a campfire, many parents are choosing to have their own summer “camp” experience with a vacation in Avalon. Instead of sloppy joes in the dining hall, parents are indulging in award-winning cuisine and rather than a sleeping bag on a bunk, it’s high-thread count sheets in decadent accommodations – all while the family is on the same land mass. Once camp is over for the kids, continue the Catalina summer experience with family time in Avalon – or Two Harbors on the West End, which has just added Harbor Sands, a new unique beach experience. 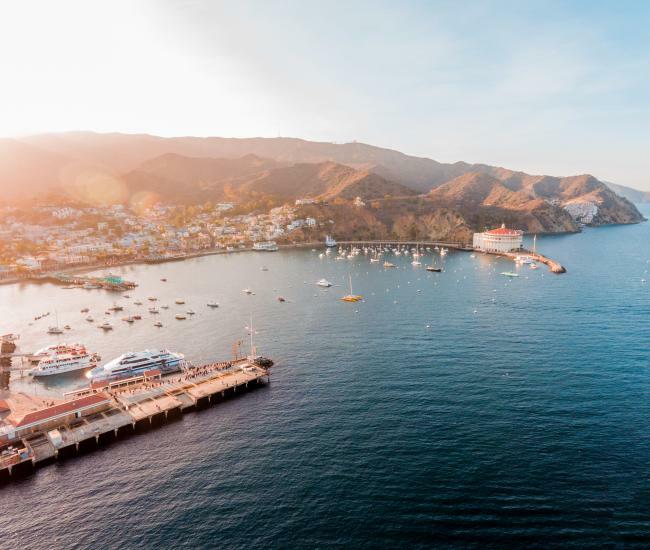 The whole family will enjoy spending time together and reconnecting in Catalina’s idyllic surroundings.